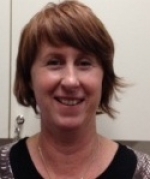 Helen Phelan is a credentialed diabetes educator and a paediatric clinical nurse consultant. She has over 15 years experience working with children, adolescents and their families as a diabetes educator. She is co-author of the SPIN insulin pump program and has recently completed project work on the National Evidence Based Clinical Guidelines For Type 1 Diabetes In Children, Adolescents And Adults.